The top is actually a dress from Missguided but it’s shrunk in the wash to a top size. Now I don’t know if thats Missguided quality or my own sloppy washing so you guys can make your own mind up about that. I’ve been wearing it as a smock tee instead as I quite like how voluminous it looks when paired with leggings. The leggings are great quality, really thick and warm and so comfortable. Maybe a little on the long side for my petite legs (does anyone else have short legs and a long body?) I don't think they came in petite but now that I've ripped the tags off I bet they do! love pants and boots! GORGEOUS! I love those leggings, green and blue tartan is my fave! You look great as always. Those tartan leggings are amazing! I love the leggings! The dress looks cute as a top ha! I love this look, these trousers are on my wishlist! Gorgeous outfit, love how the dress looks now! you are the queen of edgy! You might want to check out our handmade braided jewellery – would make a great Christmas present for someone special (…we won’t tell if it’s for yourself!). love ur necklaces so much! I absolutely love the River Island Jacket, but can't find it online. Is it a recent purchase? I'd love to get my hands on one!! love the coat and the leggings! you look lovely, love that top + bag! 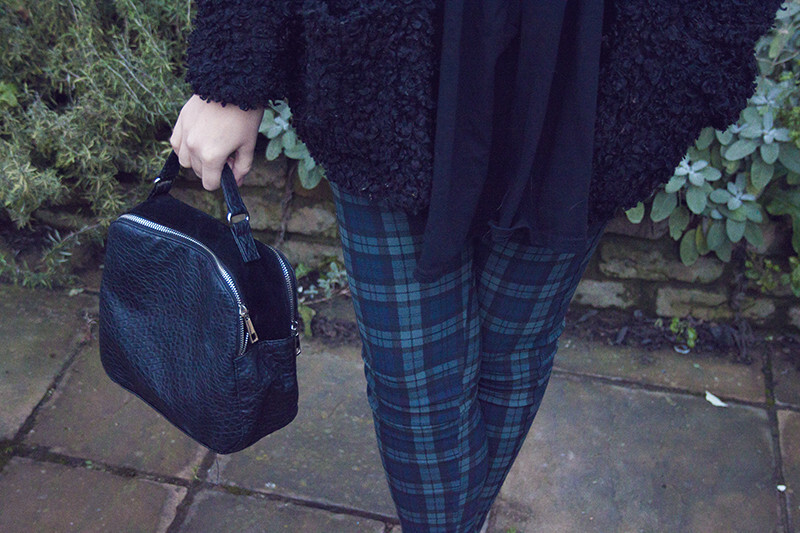 Those tartan trousers are gorgeous, in fact just loving this entire outfit. Love those trousers. So put off using Missguided though as their delivery service is absolutely appalling. Jordan Brand continues to bring patent leather back to the Air Jordan 1 that includes this upcoming Air Jordan 1 High Black Patent Leather release.Dressed in a Black, Anthracite and White color scheme. This Air Cheap Jordans Jordan 1 features a full patent leather upper in a mix of crackle-textured Anthracite and smooth Black. While not being an OG release, the Jordans for sale shoe features a “Jumpman” logo on the tongue tab and back heel. Completing the look is the “Anti-Gravity Machine” on the inner tongues, while Cheap Jordans for sale sitting atop a White midsole and Black rubber outsole.Look for Lebron James Shose the Air Jordan 1 High “Black Patent Leather” to release on November 1st, 2016 at select Jordan Brand retail stores. The retail price tag is set at $150 USD. Russell Westbrook’s newest signature shoe, the Jordan Westbrook 0.2 is now receiving the classic “Banned” treatment Kyrie Shoes for an official Jordan Westbrook 0.2 “Banned” release.Inspired by the classic return of the “Banned” Air Jordan 1, this Jordan Westbrook 0.2 receives the Jordan Future iconic Black, Gym Red and White color scheme with Metallic Gold contrasting accents.This release comes built with suede instead of fully mocking the Air Basketball Shoes Jordan 1 with the use of leather, that has an OG Nike AJKO tooling and an Air Jordan 7-inspired toecap.A release date is scheduled Jordans shoes for later this month, but for those that can’t wait can find them now here.